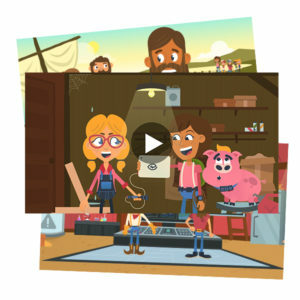 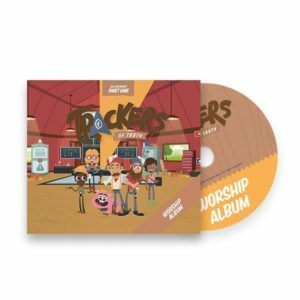 Each card includes a memorable image from the animated video, the week’s memory verse, an overview of the story students learned that week, and three Bible trivia/catechesis questions to help students practice their Bible memory. 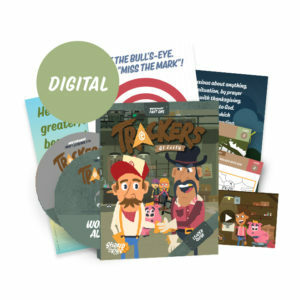 When it comes to bridging the gap between church and home, these thick cards fit perfectly in a recipe box and are designed for collecting. 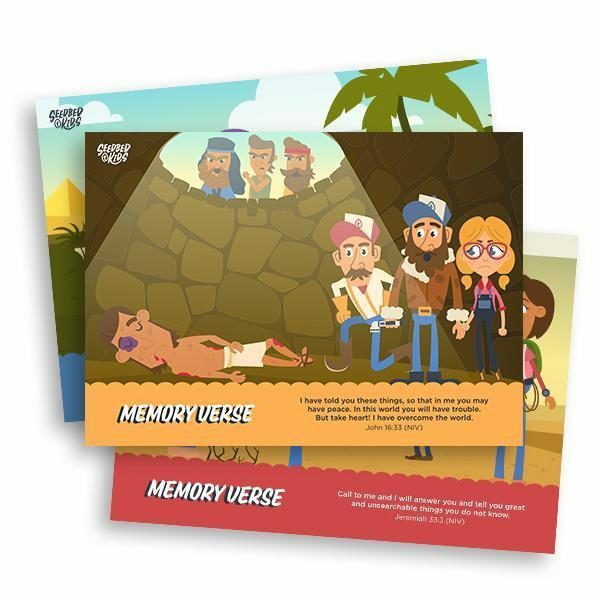 Each card includes a memorable image from the animated video, the week’s memory verse, an overview of the story students learned that week, and three Bible trivia/catechesis questions to help students practice their Bible memory. 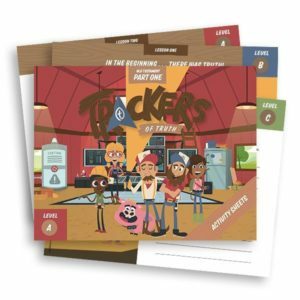 This also helps parents to engage with students around the nuts and bolts of the lesson.